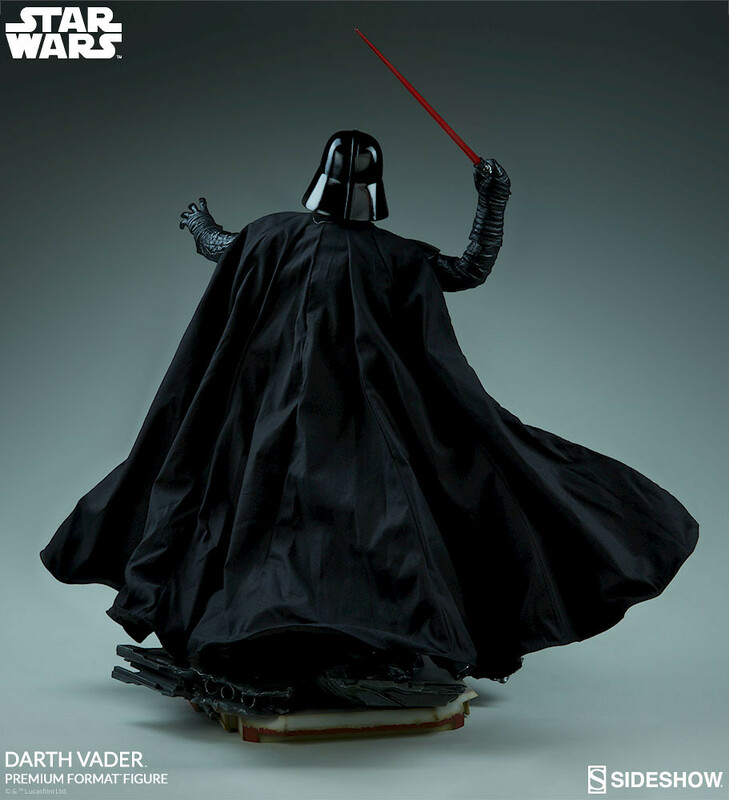 After releasing Luke Skywalker, Imperial Stormtroopers, Princess Leia, and Obi-Wan Kenobi. 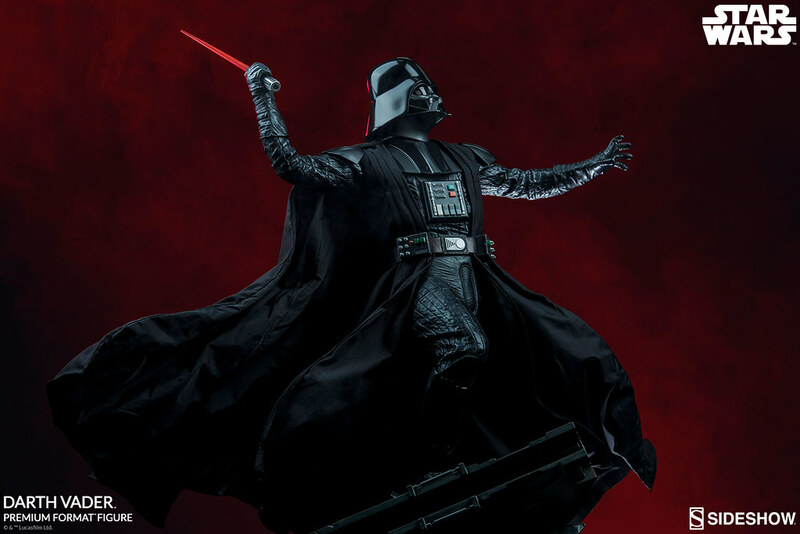 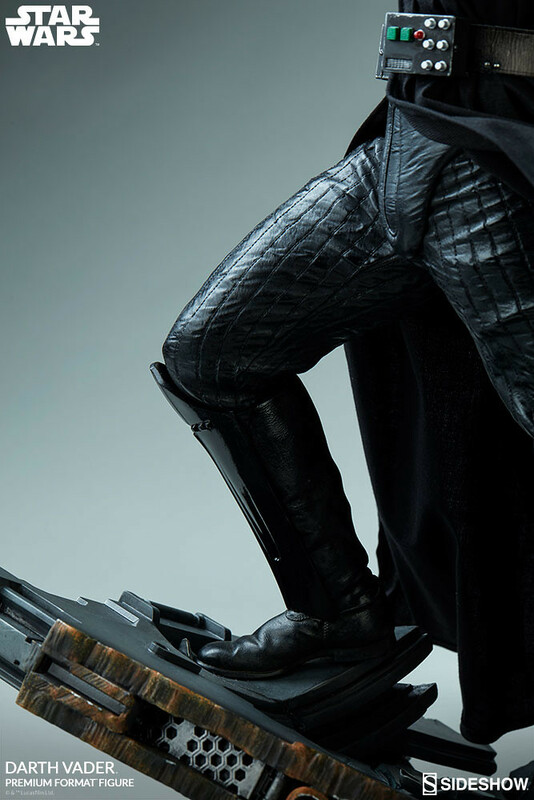 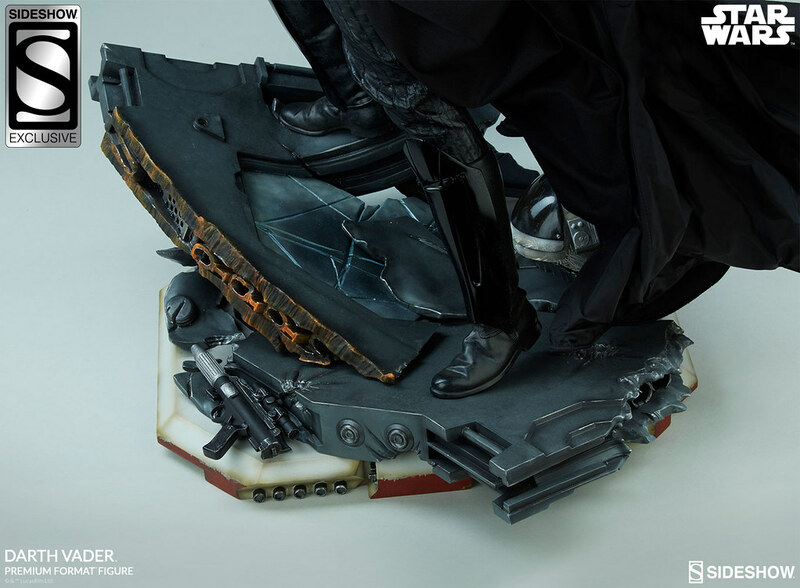 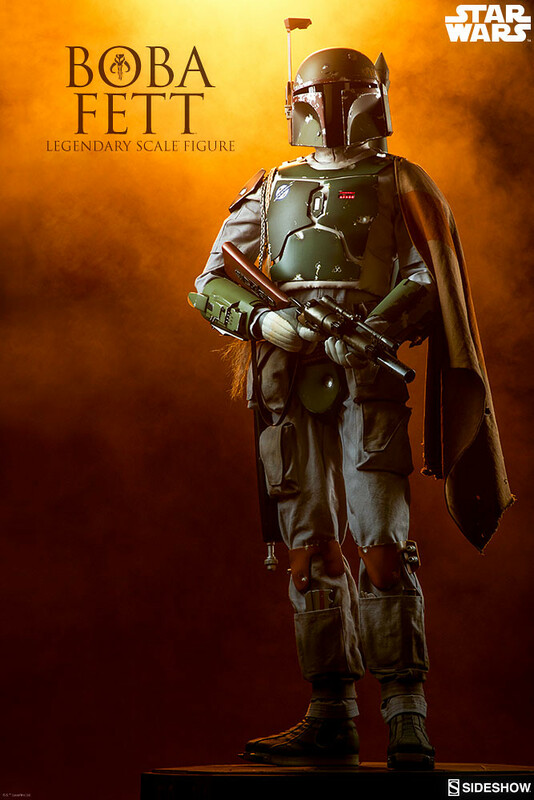 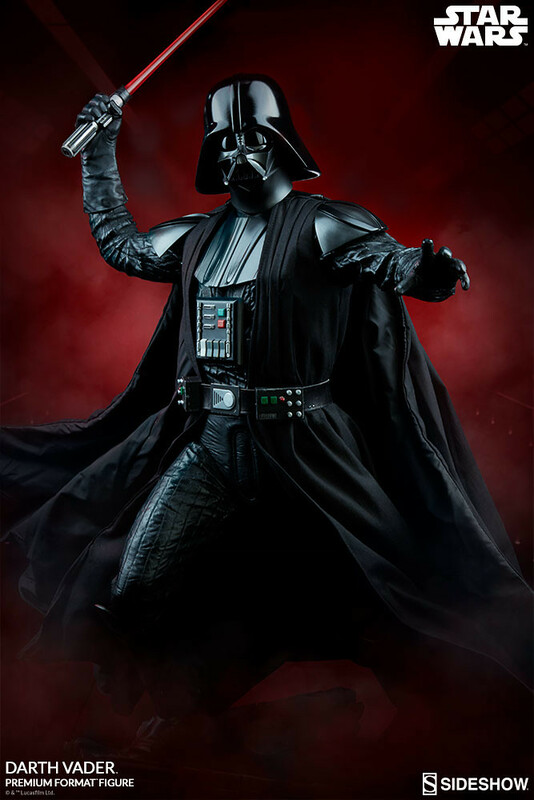 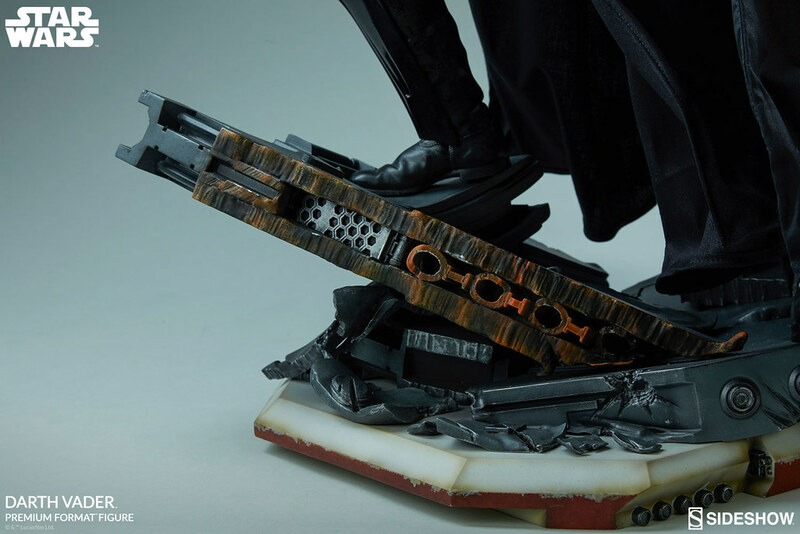 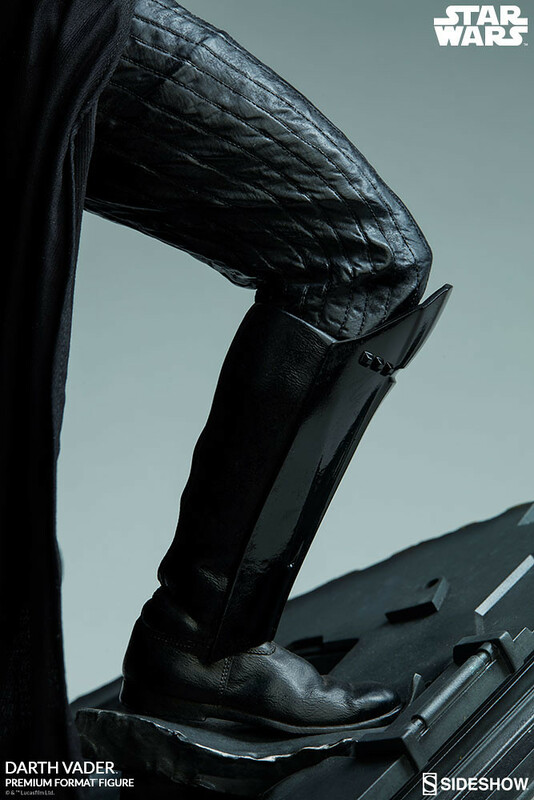 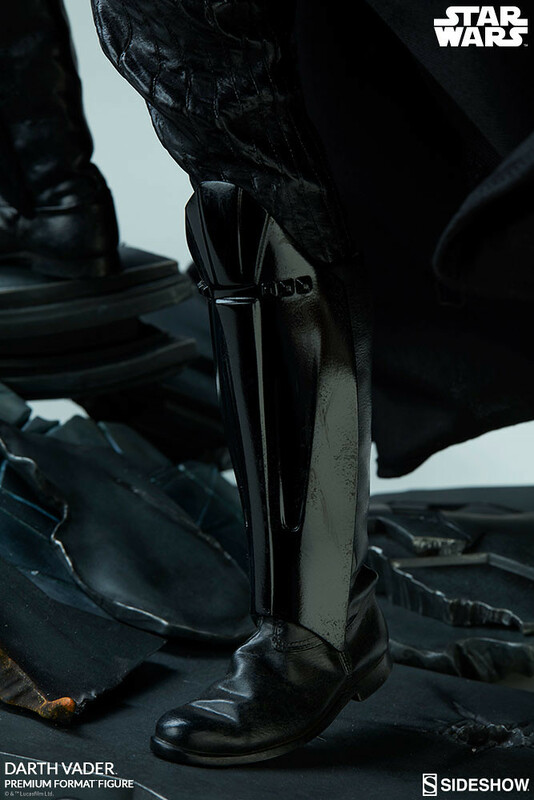 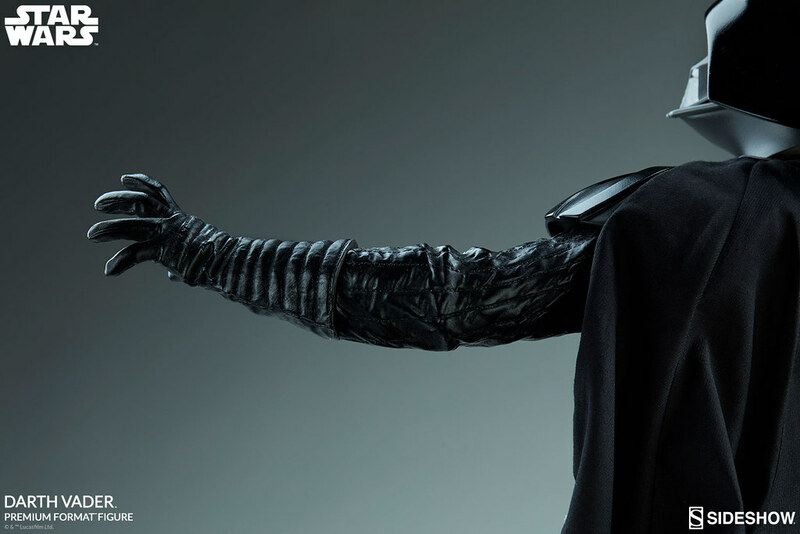 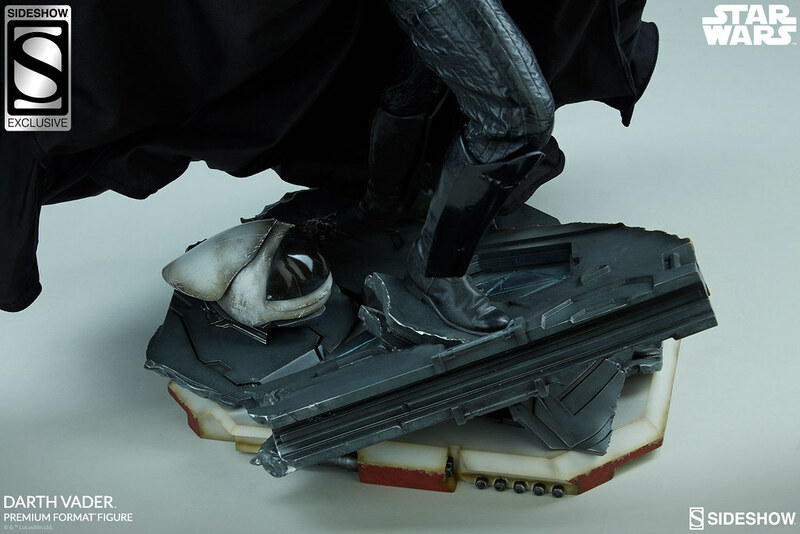 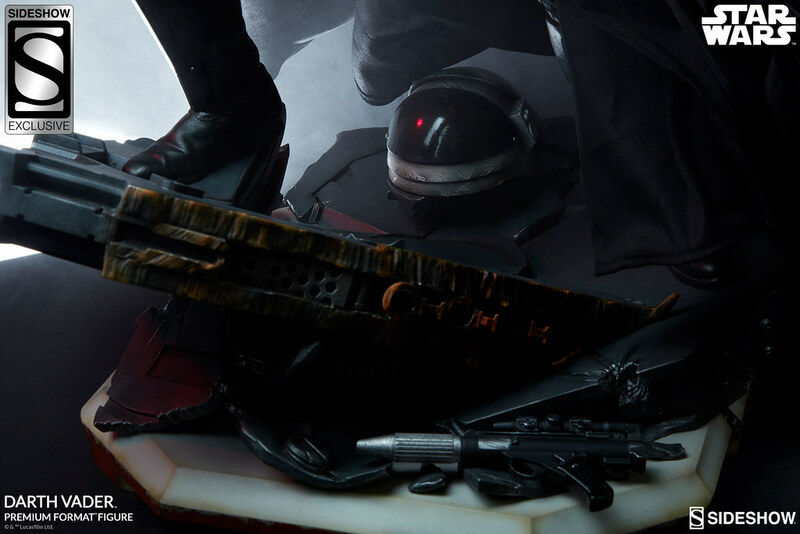 Sideshow Collectibles's Premium Format™ Figure series recently announced, Darth Vader 1/4 scale statue from Rogue One: A Star Wars Story, estimate release date 2019/05~07. 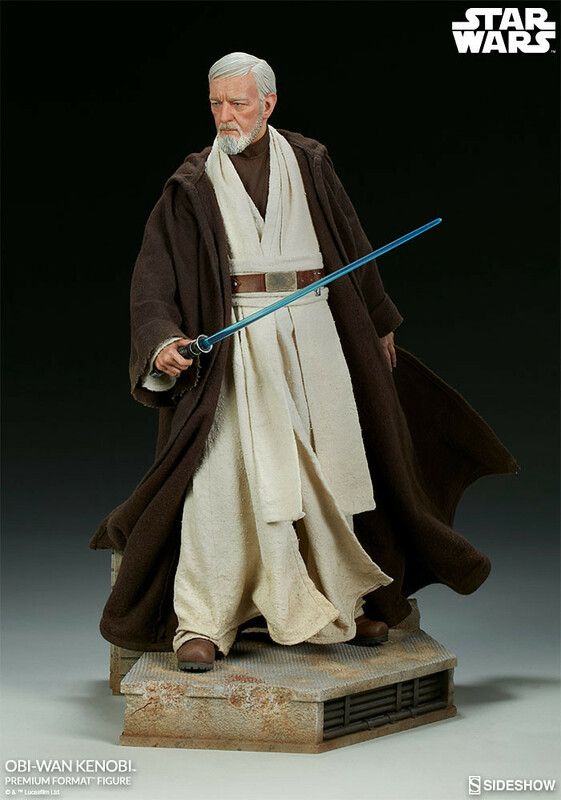 In the Star Wars universe, it was prophesied Jedi Anakin Skywalker will bring balance to the force. 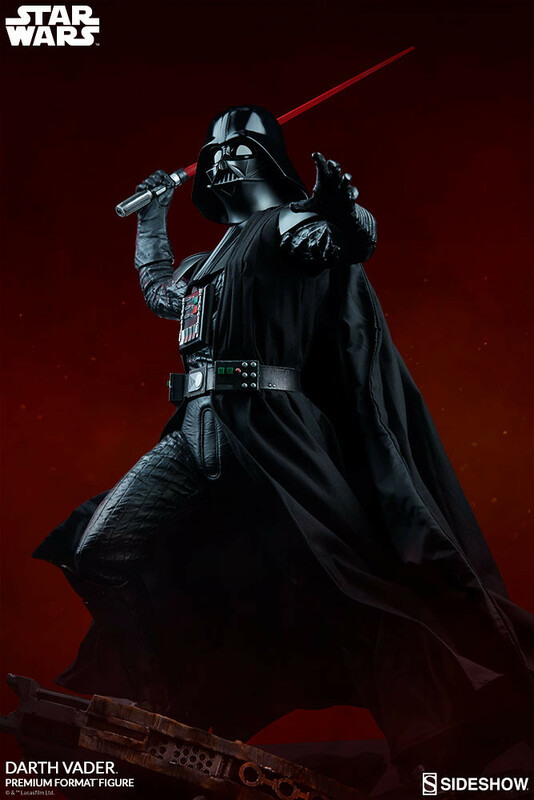 His superior adaptiveness and midichlorian count allowed his combat and force control to grow exponentially matching that of his master, Obi-Wan Kenobi; But his fear of lost doomed him to the dark side and become the fearsome Sith Lord, Darth Vader. 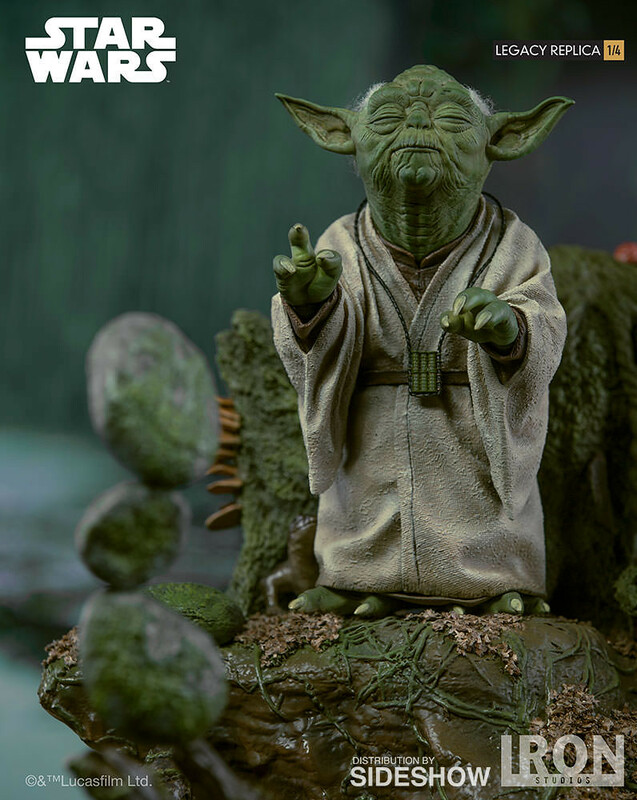 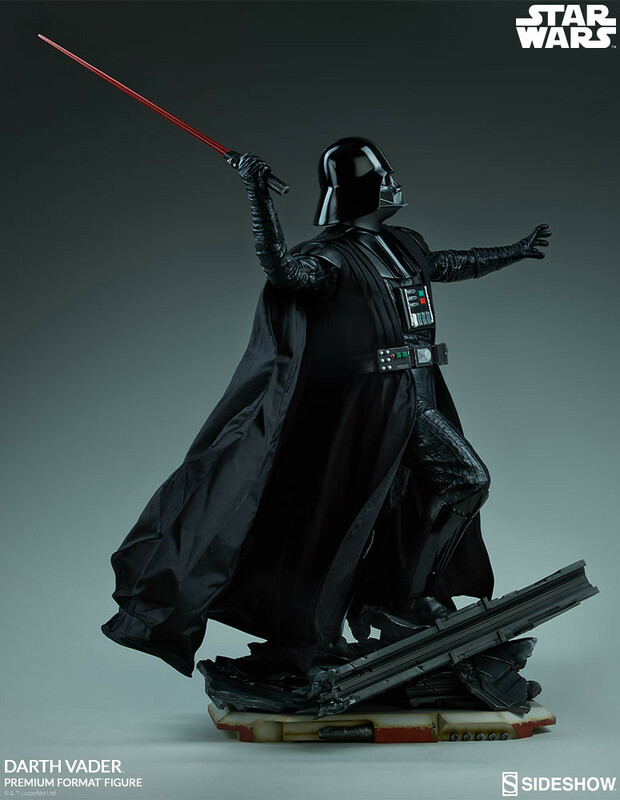 This statue is base on the famous hallway scene at the end of Rogue One where he slaughtered not just the Rebel men but the Rebel women and Rebel children too. 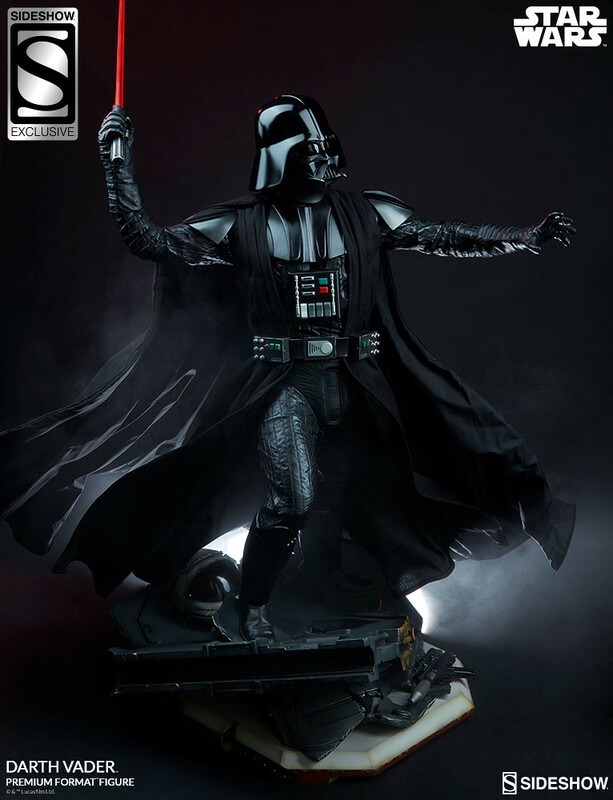 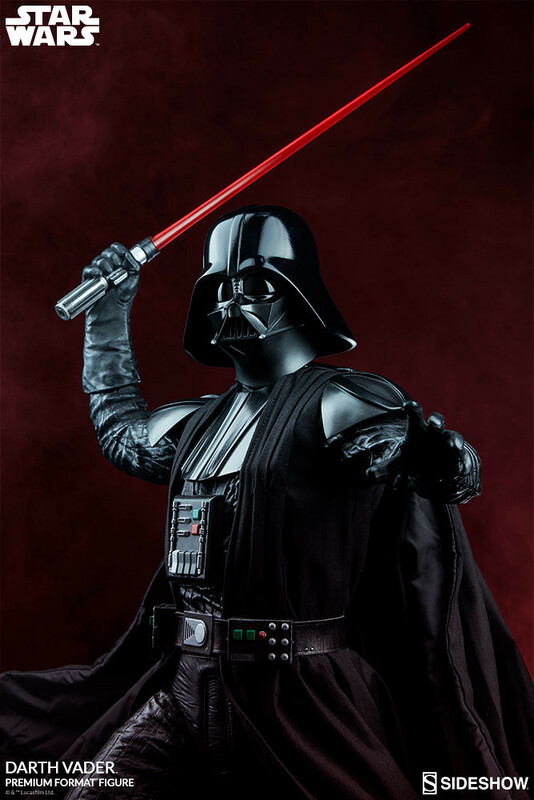 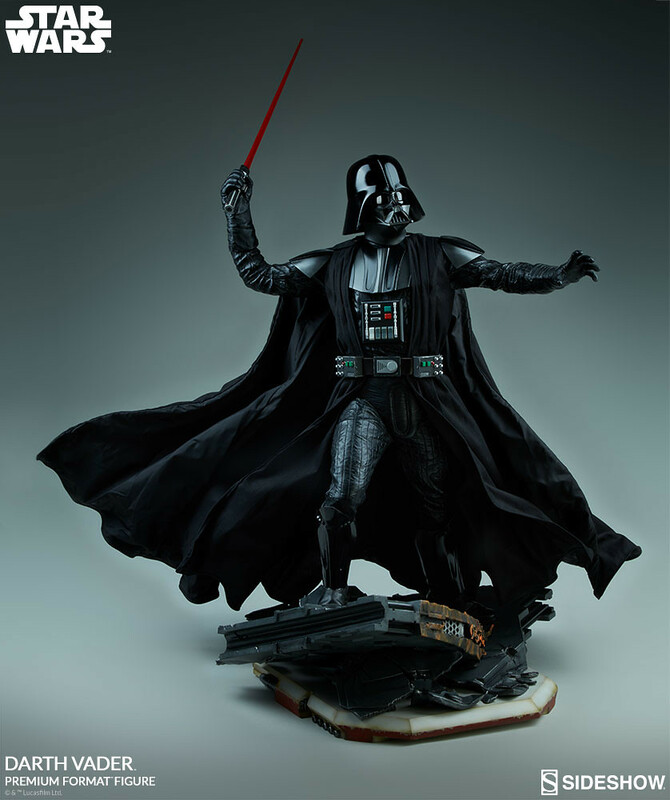 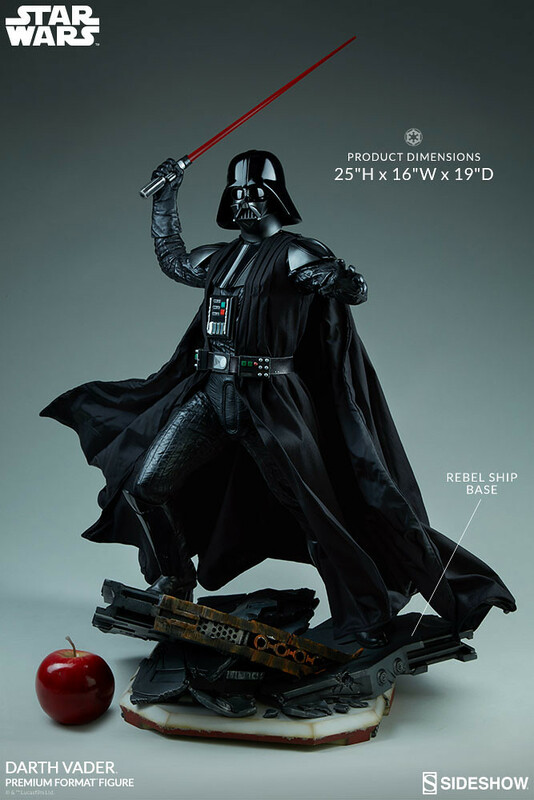 Darth Vader 1/4 scale statue stands 25.5" or 64.8 cm tall with a lightsaber on the right hand and force wielding on the left. 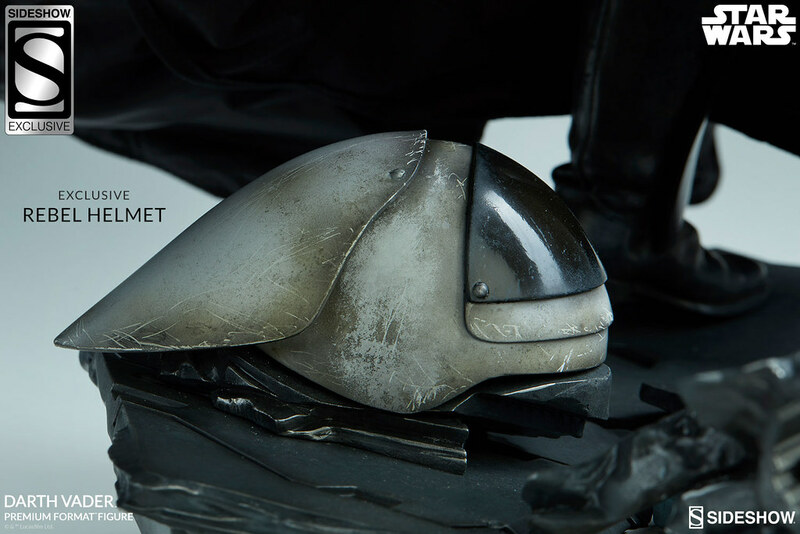 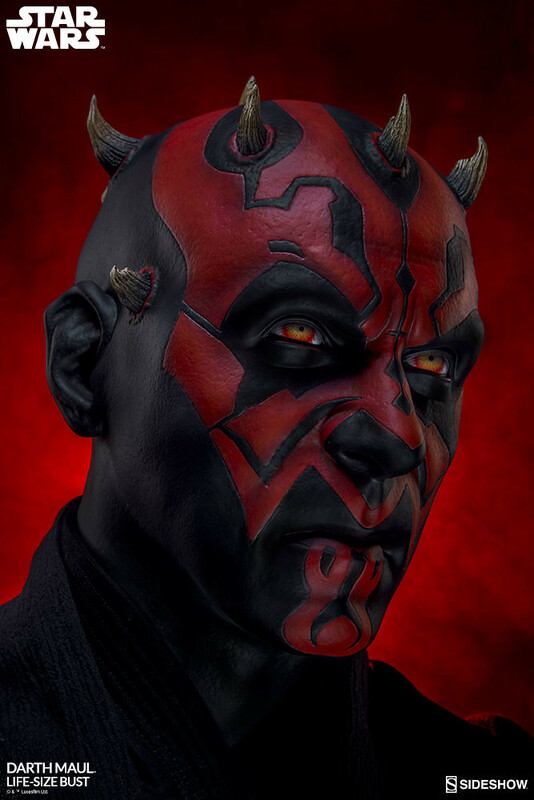 Classic Sith armor made of compound material added realism. 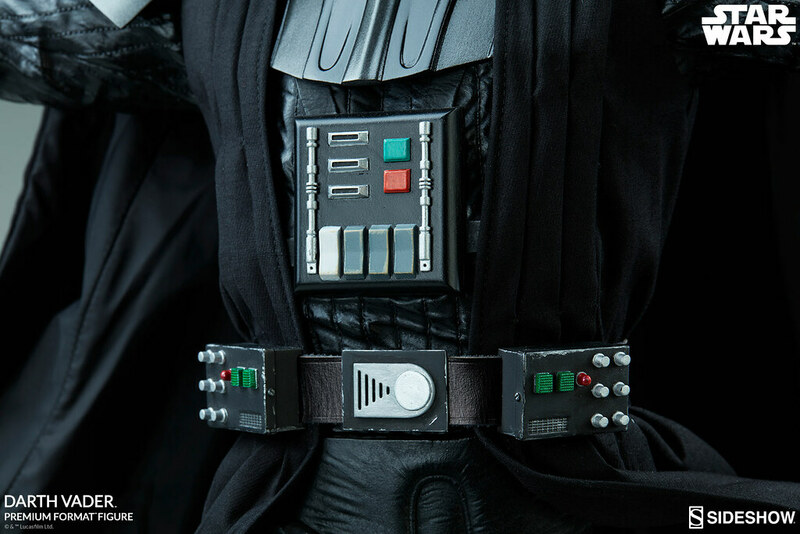 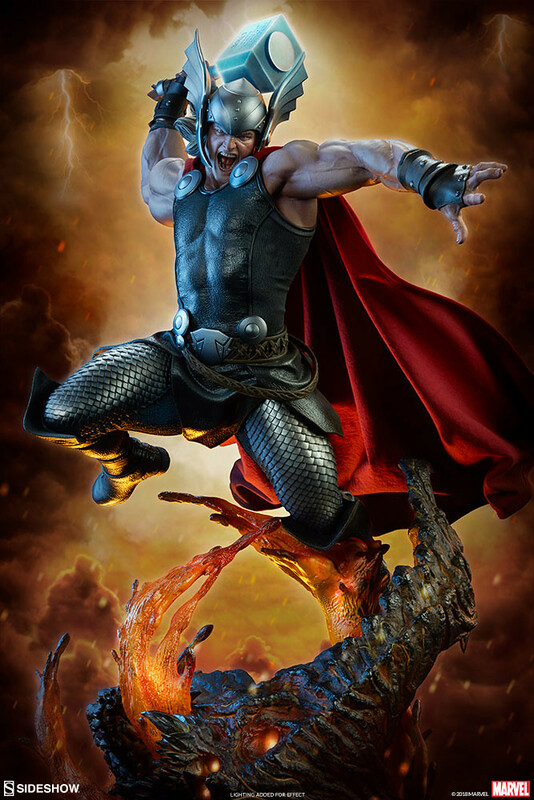 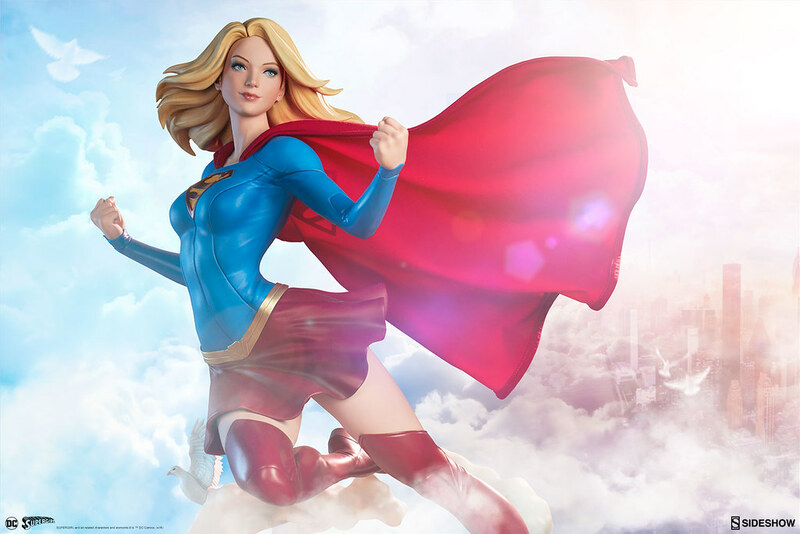 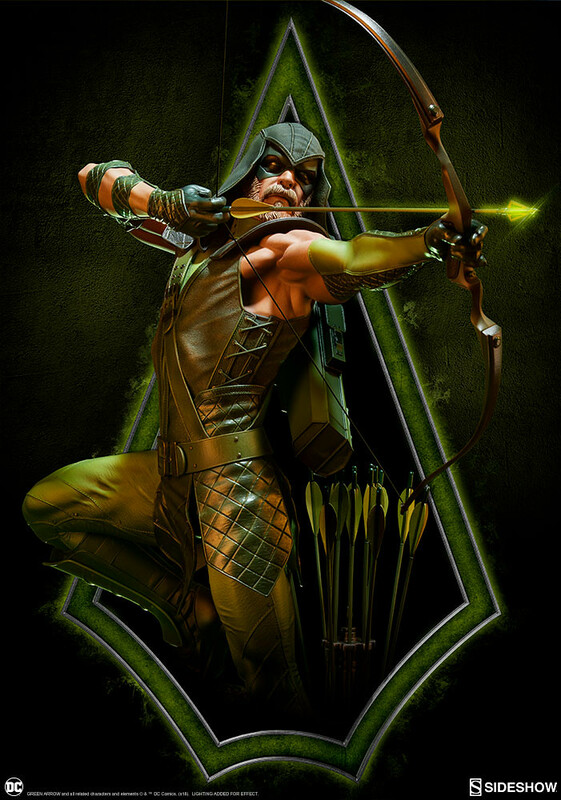 Cape has built-in wire, shiny black helmet, chest panel, and belt are all recreated. 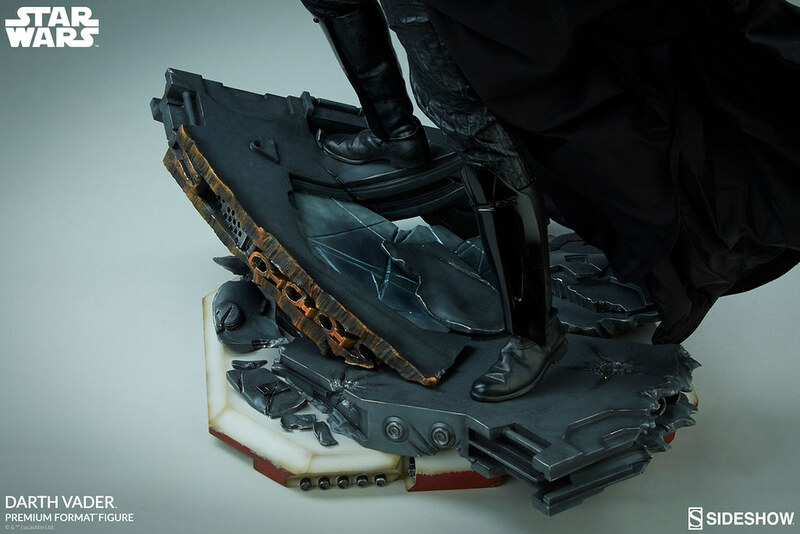 The base is made with pieces of the Rebel ship: broken floor panel neatly sculpted with orange edges as if it has just been sliced. 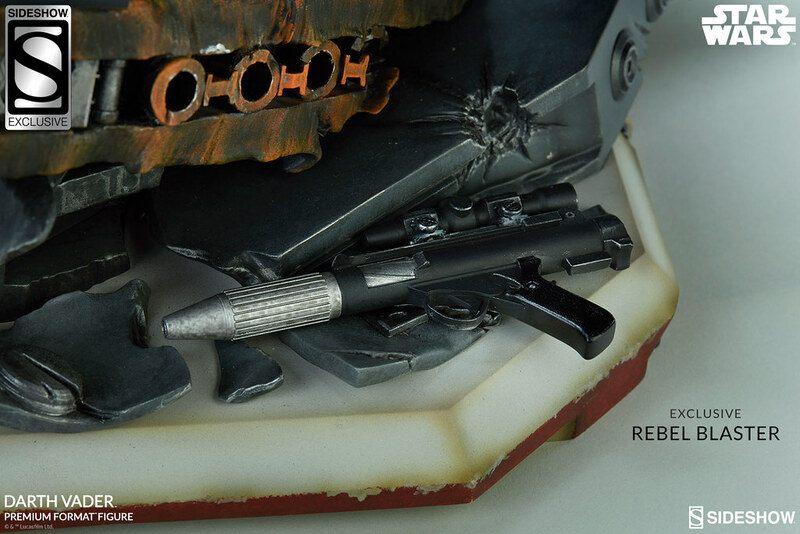 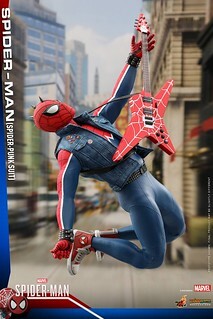 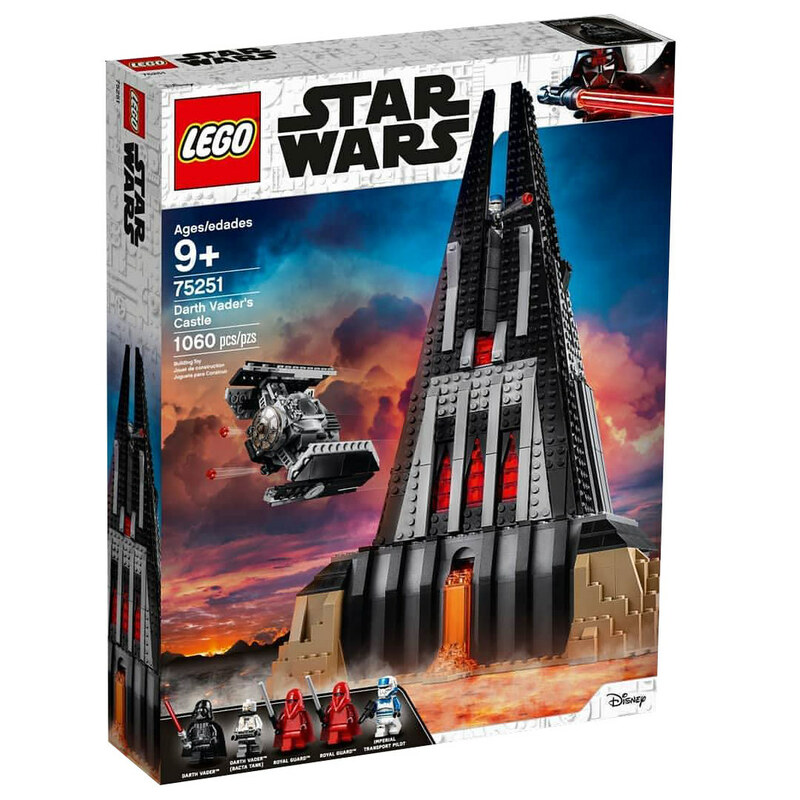 The exclusive edition includes a Rebel helmet and blaster.